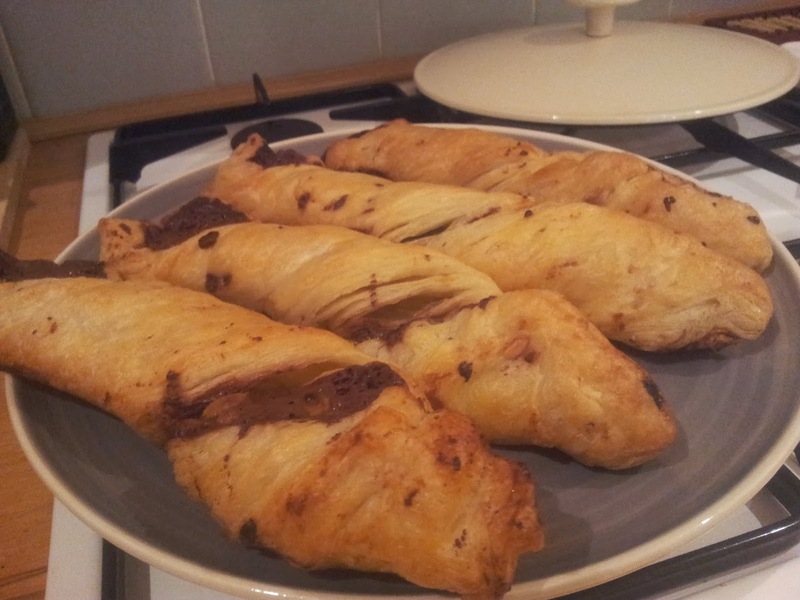 So ever since watching the Great British Bake Off and hearing about how tricky and time consuming puff pastry is I have wanted to set myself a puff pastry challenge and seeing as how I have suddenly discovered the newly refurbished pastry aisle in my local Tesco and a rivalling, perhaps triumphant, aisle in Sainsburys I was inspired to make a chocolate twist. 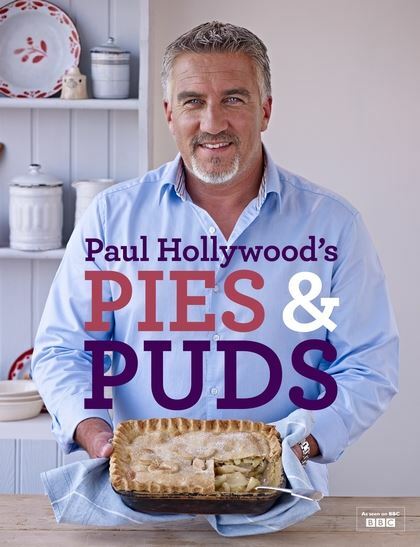 I used the puff pastry recipe from Paul Hollywood's recent book but cut down a little on the times, I only left the flour slab in the fridge for two hours at the start and once the butter was rolled in they only rested in the fridge for 30 minutes after each turn. I have to say I was pretty surprised at how easy it was to complete each step and not get confused along the way I totally expected to get befuddled. 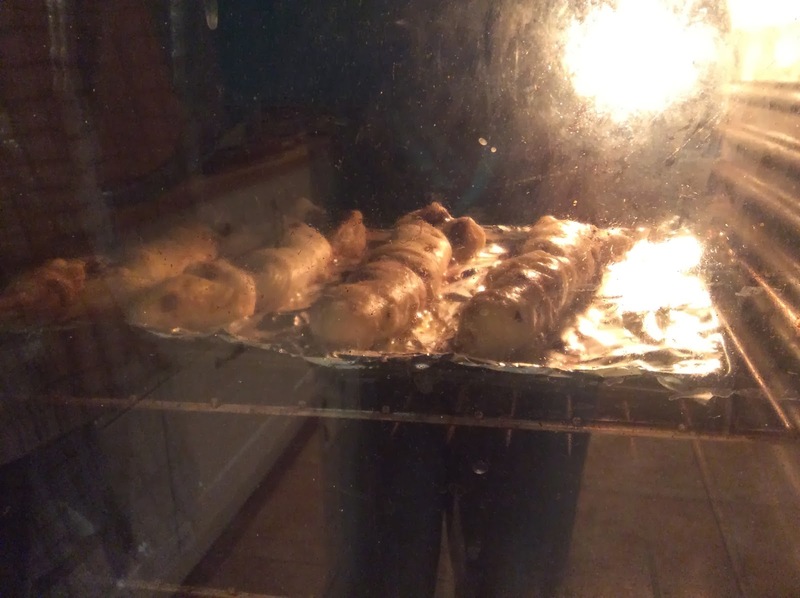 I also found that it was a simple recipe and the only downfall is that it is time consuming, I would only be able to fit it in at the weekend, which is such a shame because it is delicious! 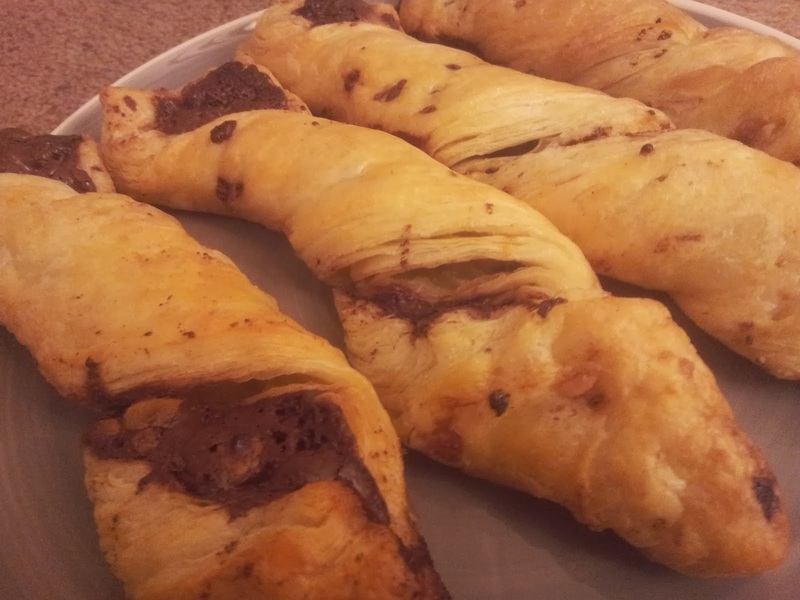 So here are the chocolate twists, with layers!!! 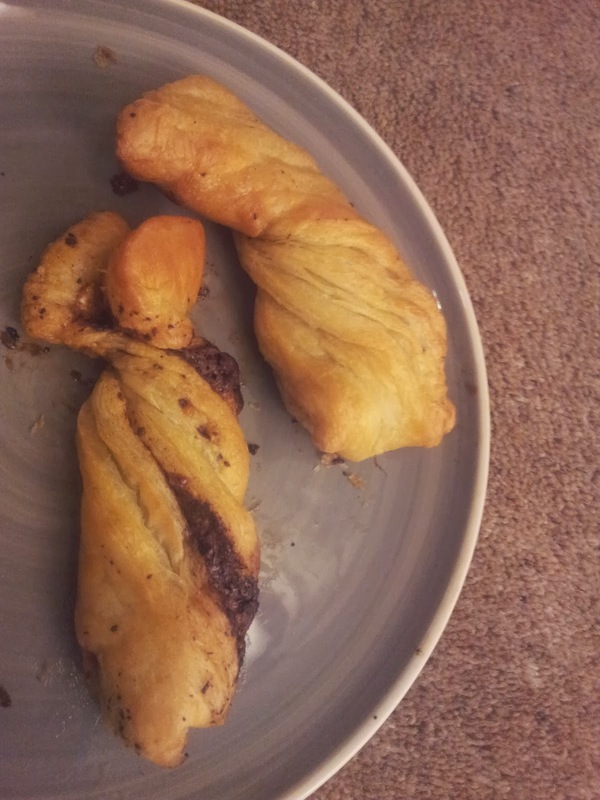 I tried out two twisting methods and I think the first one looks the best but was also the trickier, for that one I squished the chocolate into the pastry strip and borrowed a glamorous assistant to hold one end while I twisted the other and caught falling chocolate to stuff back in! 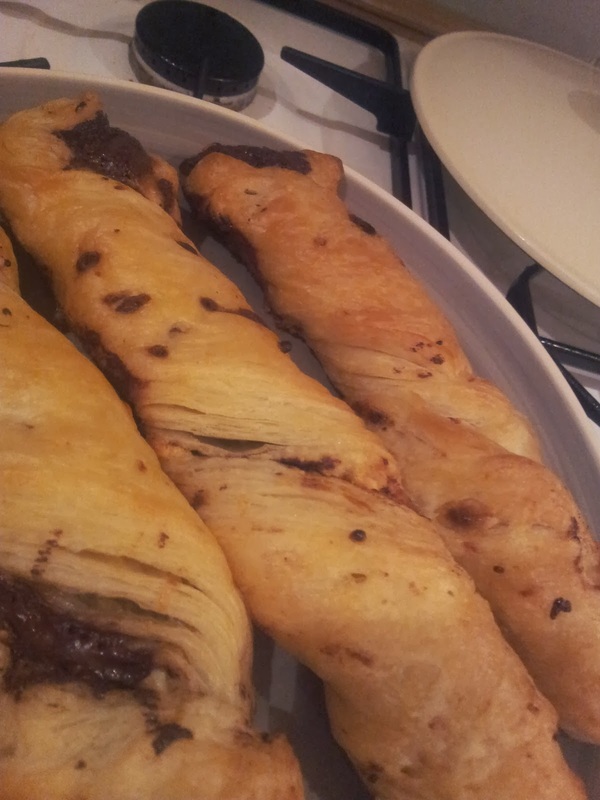 The second was to roll out the strip a bit more to make it longer put chocolate on half and fold the rest of the pastry strip over and then twist. But in the end who cares! I got some layers in my pastry! !And its chocolate so it all tastes good! Pretty certain these would also be amazing savoury and they only take 15 minutes in the oven!! I would really really recommend puff pastry and Paul's recipe as it gives you are real cook boost, I was beaming when they actually worked! And I'm going to say it again they are DELICIOUS! !